Ever wondered why Japanese beer has so much foam and tastes bitter? We explain here the differences between Japanese beer and the beer from other countries, as well as the differences between non-alcoholic and alcoholic beers in Japan. This is a phrase many Japanese people use when entering an izakaya. 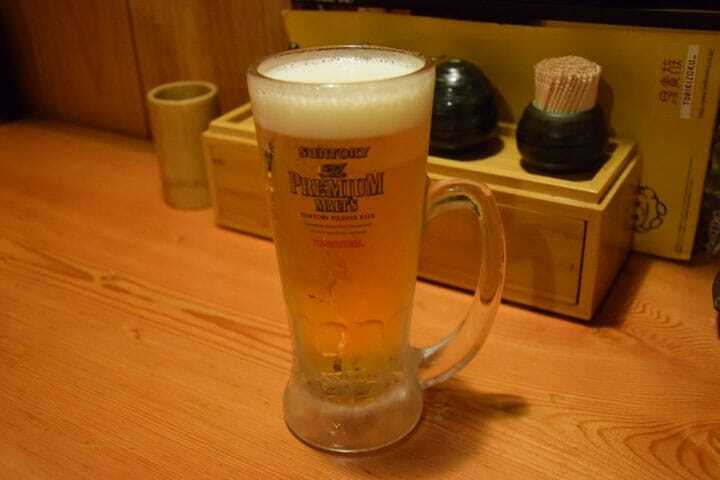 There is a custom in Japan to give first a toast with beer when drinking. When people think of Japanese alcohol, many may have a strong image of Japanese sake (rice wine) or shochu (Japanese hard liquor). However, many Japanese people are quite fond of beer as well. In this article, we would like to feature the major differences between Japanese beer and foreign beer. Those who have visited Japan may be aware of how bitter Japanese beers are. Most beers drunk in Europe or America tend to be ales that use barley malt as a base before it is fermented at room temperature for a short period and turned into beer. On the other hand, most beers in Japan tend to be lagers. Like ales, they also use barley malt, but the production process is different. Lager beer is fermented and produced at low temperatures for a longer period of time. Beer enthusiasts enjoy the smell of wheat and the sweetness of ale, while they also enjoy the bitterness and the refreshing aftertaste of lager. Not many ales are sold in Japan, so that is why many people have an impression of "Japanese beer being bitter". However, there are stores that carry ale from various countries. There are also regional beers that use local ingredients or are made from regional specialties as well. Not all stores carry them, but it is definitely worth the challenge for those who would like to try something different. Difference 2: Japanese Beer Has More Foam? With a ratio of approximately 3:7, there is more foam to liquid in Japanese beer. However, this is done on purpose by the hands of the server. In Japanese people's eyes, the more the foam, the prettier and tastier the beer looks. This foam is not just for looks and affects the taste as well. By creating a lid on top of the beer with the foam, it prevents the beer from losing the flavor when oxygen reaches it and it also prevents the carbon fizz from escaping. In Japan, there is a strong impression of "beer = chilled before drinking". Most countries outside of Japan probably chill their beers on a hot summer day, but in Japan, an ice cold beer gets served even during snowy days in the middle of winter. If you would like to drink beer at room temperature, you may want to confirm with the store when ordering. Did you know there is beer for people who have to drive after drinking or aren't feeling well? That is the non-alcoholic beer. It tastes just like regular beer, but it contains less than 0.5% of alcohol and has the carbonated fizz. Even people who cannot consume a large amount of alcohol can still enjoy the drinking atmosphere with the taste of non-alcoholic beer. As you can see, when the country of origin changes, the taste of beer also changes. Why not compare and contrast Japanese and foreign beer for yourself the next time you visit a Japanese izakaya? Stave Off The Summer Heat At Five Tokyo Beer Gardens! [Izakaya] “Nomihōdai”: All You Can Drink For A Fixed Price!? What's On The Drink Menu At A Typical Izakaya In Japan?